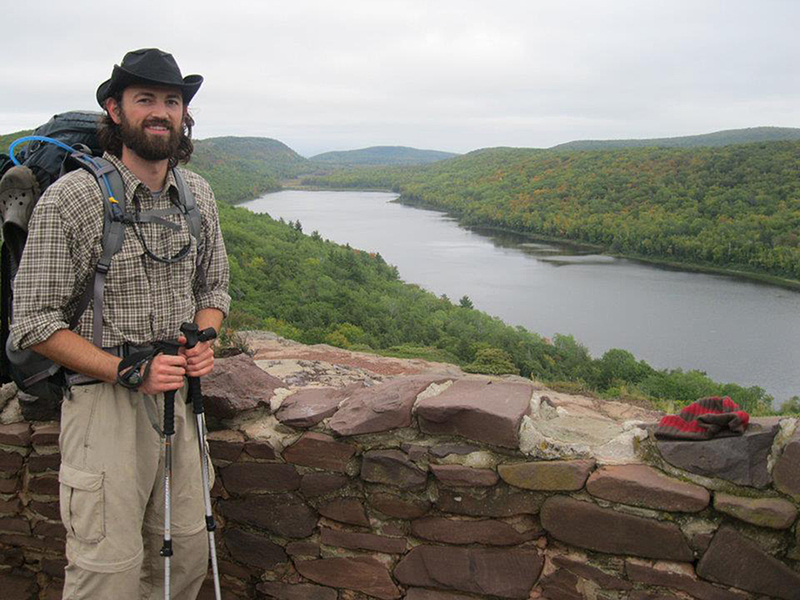 The Virginia Outdoors Foundation has hired a new ranger to assist visitors, perform maintenance, and manage day-to-day activities at the 2,350-acre Bull Run Mountains Natural Area Preserve along the Fauquier-Prince William county border. Robert Stuart, a Shenandoah County native who spent the last 18 months working at the Elachee Nature Science Center in Gainesville, Ga., began his ranger duties this week. He takes over from VOF’s previous ranger, Brian Laposay, who was a fixture on the preserve for five years and got to know many of the regular visitors while he educated them about the property’s policies, coordinated volunteer projects, improved trail systems, treated invasive species, and served as an ambassador for VOF’s conservation mission. Laposay is moving to Anchorage, Alaska. Stuart brings a solid background in natural resource management with degrees from Virginia Tech and the University of Wisconsin, plus his experience in Georgia and multiple fellowships, including one with the Piedmont Environmental Council in 2013. He is certified in first aid, CPR, and AED, and has developed programs for youth and adults dealing with forest and water ecology, conservation, and outdoor recreation. He also has managed efforts to control invasive species, stabilize streambanks, organize volunteers, and more. “VOF and the Bull Run Mountains seem like the perfect place for me to continue working in conservation, while also living so close to the people and place that I love,” says Stuart. VOF has stepped up active management of the preserve in recent years as it attempts to balance the needs of the mountain’s ecology with the public’s desire to visit the property. Although this has meant some restrictions, such as closing certain trails in sensitive areas and prohibiting dogs, VOF’s hope is to provide new programs and opportunities that allow area residents to connect with unspoiled nature close to home. Stuart will reside in the ranger house on the property. Anyone with information about trails or management issues may reach him at (540) 422-1309 or rstuart@vofonline.org.